Ukraine poll rivals clash ahead of Sunday’s vote A comedian tipped to take over Ukraine’s presidency and his incumbent rival went head-to-head in a bitter stadium debate yesterday, as campaigning reached its grand finale before a weekend vote. 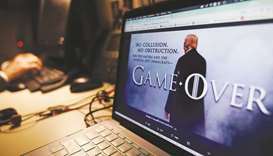 Democrats push for all Russia probe evidence Congressional Democrats took legal action yesterday to see all of US Special Counsel Robert Mueller’s evidence from his inquiry into Russian interference in the 2016 election, with an eye to using the probe’s findings against President Donald Trump. 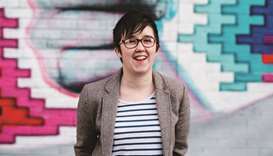 Journalist shot dead during Derry rioting: police A journalist was shot dead during riots in Northern Ireland in what police were yesterday treating as a terrorist incident following the latest upsurge in violence to shake the troubled region. Star rallies activists at climate change protest Film star Emma Thompson joined climate change activists in central London yesterday to read poetry praising Earth’s bounties, part of a series of protests which have caused transport snarl-ups in the British capital. 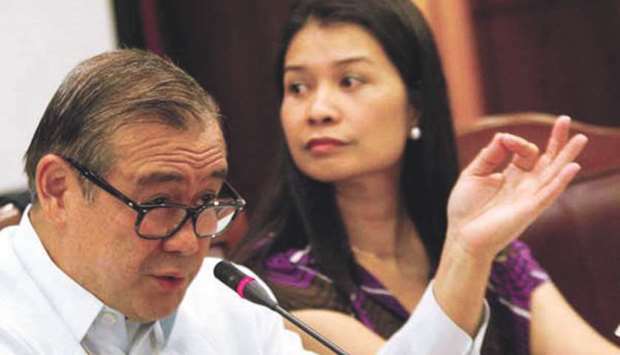 Locsin backs military modernisation Foreign Affairs Secretary Teodoro Locsin Jr said China’s policy in the contested Spratly Islands in the South China Sea (West Philippine Sea or WPS) should compel the Philippine government to invest more on military modernisation. 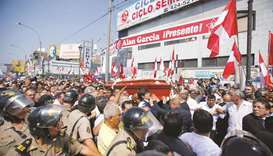 Thousands attend Garcia’s funeral Thousands of Peruvians said goodbye in Lima to ex-president Alan Garcia — who killed himself this week — in the second of three days of national mourning declared by President Martin Vizcarra. 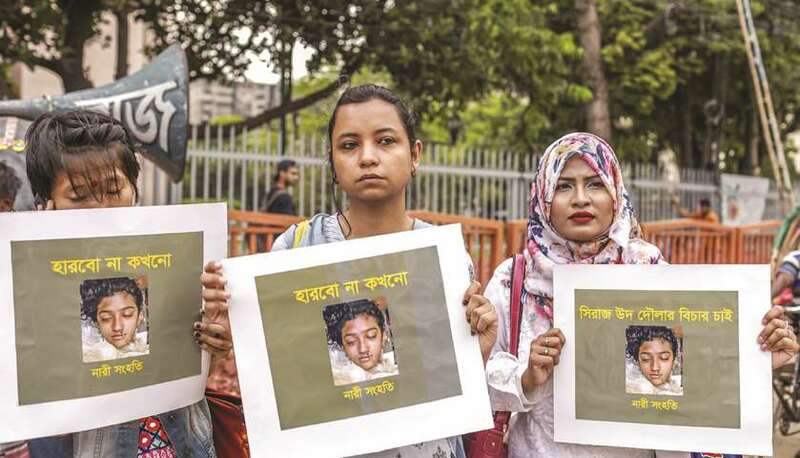 A schoolgirl was burned to death in Bangladesh on the orders of her head teacher after she reported him for sexually harassing her, police said yesterday. 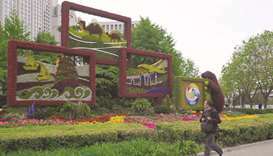 China said yesterday leaders from 37 nations and North Korean representatives will attend a summit for its Belt and Road Initiative next week as it hit back at criticism of the massive trade infrastructure project. 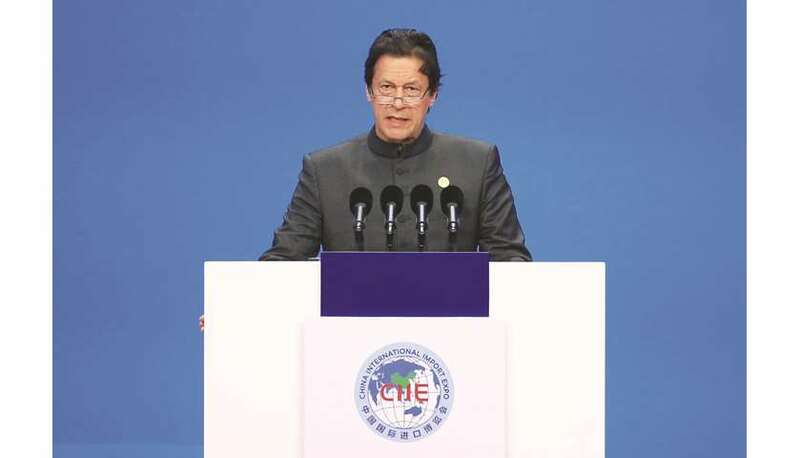 Prime Minister Imran Khan said yesterday that he would not hesitate to make more changes to his cabinet if required, a day after a major reshuffle that saw the appointment of a replacement for the finance minister and nine other ministerial switches. 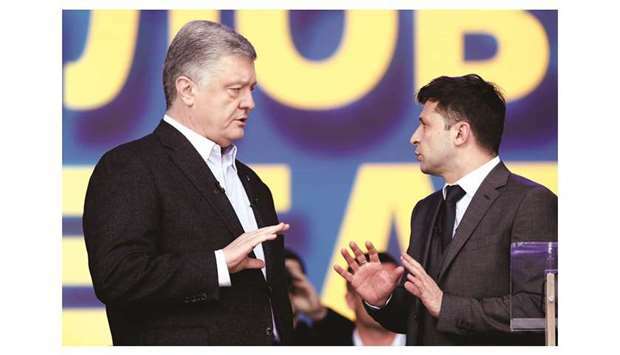 A comedian tipped to take over Ukraine’s presidency and his incumbent rival went head-to-head in a bitter stadium debate yesterday, as campaigning reached its grand finale before a weekend vote. 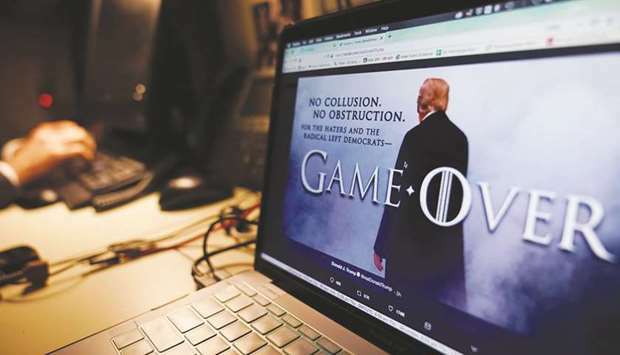 Congressional Democrats took legal action yesterday to see all of US Special Counsel Robert Mueller’s evidence from his inquiry into Russian interference in the 2016 election, with an eye to using the probe’s findings against President Donald Trump. 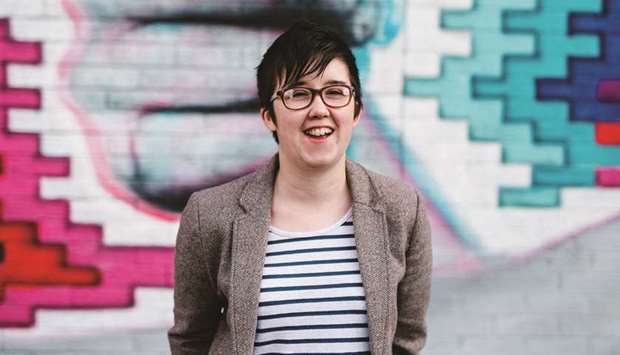 A journalist was shot dead during riots in Northern Ireland in what police were yesterday treating as a terrorist incident following the latest upsurge in violence to shake the troubled region. Film star Emma Thompson joined climate change activists in central London yesterday to read poetry praising Earth’s bounties, part of a series of protests which have caused transport snarl-ups in the British capital. Foreign Affairs Secretary Teodoro Locsin Jr said China’s policy in the contested Spratly Islands in the South China Sea (West Philippine Sea or WPS) should compel the Philippine government to invest more on military modernisation. Thousands of Peruvians said goodbye in Lima to ex-president Alan Garcia — who killed himself this week — in the second of three days of national mourning declared by President Martin Vizcarra. 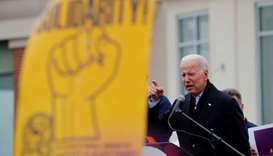 Former US Vice President Joe Biden plans to make a widely expected announcement of his candidacy for the presidency in a video on Wednesday, the Atlantic reported on Friday, citing sources close to Biden's top aides. 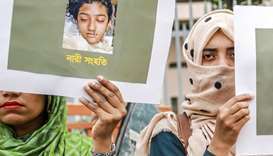 A schoolgirl was burned to death in Bangladesh on the orders of her head teacher after she reported him for sexually harassing her, police said Friday.